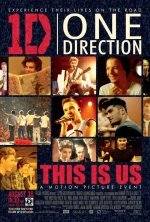 A 3D behind-the-scenes film showcasing London-based global music sensation One Direction. 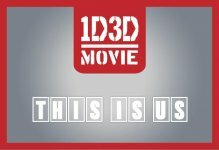 One Direction: This is Us release date was Friday, August 30, 2013. This was a Nationwide in theaters release. One Direction – Niall Horan, Zayn Malik, Liam Payne, Harry Styles and Louis Tomlinson – were discovered by Simon Cowell on the U.K.'s "The X Factor" in 2010. In March 2012, One Direction's debut album, "Up All Night," made U.S. history, as it was the first time a U.K. group's debut album entered the U.S. Billboard 200 chart at No. 1. The band has sold over 13 million records worldwide. Today, One Direction released their sophomore album, "Take Me Home," which includes the No. 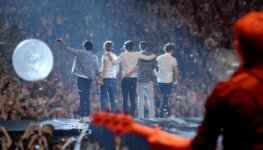 1 single, "Live While We're Young." set the MPAA rating to PG for mild language.